California’s cannabis consumers spent $180 million on THC-infused food and drinks last year, 10% of the state’s cannabis sales. Drinkables have been on the rise for some time now, and more companies are releasing their version of THC beverages to get in on the growing trend. 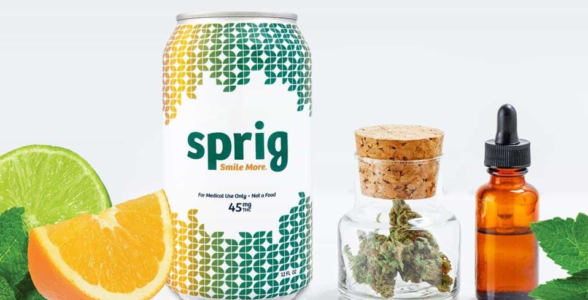 Cannabis beverage company California Dreamin’ created four different flavors of cannabis-infused sparkling drinks to give pot enthusiasts an alternative to smoking. Consumers have a choice of pomegranate, tangerine, grapefruit, and cranberry apple flavors. Each drink contains 10 milligrams of THC, providing more of a social high than an overpowering, “nap time and munchies only” high. California Dreamin’ is made with a sativa blend, a more energizing strain of marijuana to provide liveliness instead of sleepiness. The beverages retail for about $8 to $10 per bottle, and they’ve already started hitting shelves at a few recreational dispensaries in SF. Other brands include Sprig and Tarukino.